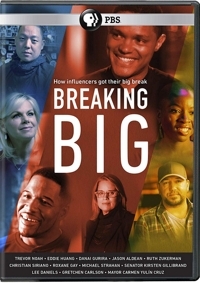 It’s a nice idea—profiling highly successful people to try to nail down what it was that made the difference—but Breaking Big ultimately is more fascinating than it is a template for how to break big yourself. —South African comedian Trevor Noah, whose quick rise landed him the plum job of Jon Stewart’s replacement on The Daily Show. 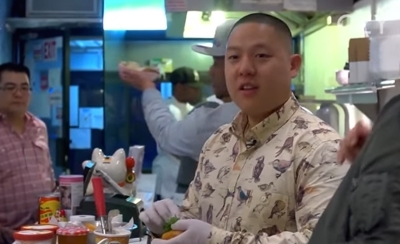 —Restaurateur, TV host, and author Eddie Huang (Fresh off the Boat), who turned a passion for cooking and his Asian-American upbringing into a best selling book and other successes. —Danai Gurira, a Zimbabwe native whose play about her African heritage brought her acclaim and led to roles on The Walking Dead and Black Panther. 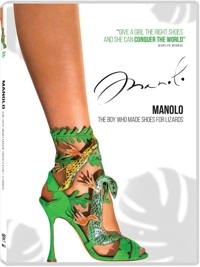 As a documentary, Manolo: The Boy Who Made Shoes for Lizards is a product of the times. Reality TV programming has pushed the public’s fascination with celebrity and celebrities to an extent that we haven’t really seen since the Golden Age of Hollywood and the initial proliferation of gossip magazines. 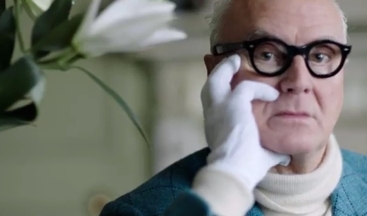 Atypical of road-to-success biographies, this film offers an adorational profile of high fashion “cobbler” Manolo Blahnik— one that celebrates the designer’s personality and celebrity more than it explains his methods or his rise to prominence. The title is literal. As a young boy Blahnik, who grew up in the Canary Islands, really did make tiny little shoes for the lizards that he would catch and play with. But as I said, this isn’t the standard biography that proceeds chronologically in order to explain how that young boy grew up to be one of the most influential fashion figures of the 20th and now 21st century. It’s not emphasized how he lived with his aunt and uncle and how the latter helped his fashion tastes to evolve, and we really don’t learn much about the early transformative years. The first two-thirds of the film is devoted to creating an impressionistic portrait of the flamboyant Spanish designer, reinforcing how big he actually is in world pop culture and fashion. We see celebrity after celebrity fawning all over Blahnik or his shoes and quickly deduce that he was the main designer on the radar of the rich and famous—both entertainers and political royalty. Blahnik repopularized the stiletto heel and when high-fashion footwear was called for in the movies, he was often the one costume designers turned to—with one film, Marie Antoinette, offered as an extended example. But mostly we hear people talking about Blahnik and we hear Blahnik talking about his life. If your family is like ours, the kids don’t exactly clamor for documentaries. 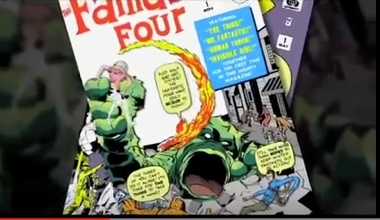 But when the subject of a documentary is Marvel comics legend Stan Lee, and when the documentary employs graphics that remind you of comic books, suddenly there’s interest. Enough for them to watch the whole thing, in fact. Even years after the hey-day of comic books, when kids could indulge themselves for just 12 or 15 cents, the low-culture genre still holds plenty of fascination. Back then, Lee says, they created a comic per day, and most of the kids I knew purchased at least one per week. It was our pulp fiction. “I learned to read because of Spider-Man comics,” one of the many celebs on this documentary confesses. But a new generation has come to know the Marvel characters mostly through TV and movies—and in this, too, we discover, Lee played a pivotal role. 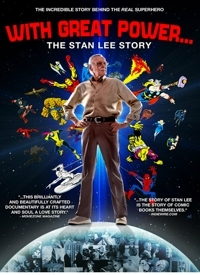 Since the age of 19, Lee has been the driving force behind and larger-than-life face of Marvel, a genius who co-created more than 500 distinctive characters over his long career as a story man. Teaming with legendary comic-book artist Jack Kirby and others, he absolutely owned the Sixties, coming up with nine characters who would become major Marvel success stories: Fantastic Four (Nov. 1961), Ant-Man (Jan. 1962), Hulk (May 1962), Thor (Aug. 1962), Spider-Man (Aug. 1962), Iron Man (Mar. 1963), The Avengers (Sept. 1965), Daredevil (April 1964), and Silver Surfer (Oct. 1966). “I just put the words in the people’s mouths and I may have come up with the original idea, but after that it was a partnership,” Lee says. 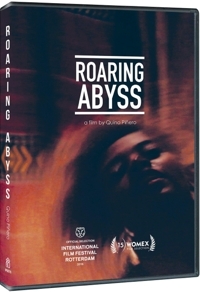 This 2015 documentary from Quino Piñero could very well do for traditional music from Ethiopia what Buena Vista Social Club did for Cuban music and musicians. The musicians celebrate their lives through music, and Piñero celebrates that too, along with celebrating their talent, passion, and dedication to preserving traditional music. You don’t have to be a music lover to enjoy this film, but it certainly helps, since music is a constant. From the terrific opening song you know what sort of journey awaits. A pattern unfolds: you see film of everyday life in a section of Ethiopia while you hear music, then a cut to the musicians so you can see the source of the sound and watch the rest of the performance—and in a sense, every one of these songs, no matter where it was recorded, is a performance because they have been recorded in front of microphones for posterity. After the performance we get more of the same, with that pattern occasionally interrupted by interviews with some of the performers. Sharks are to the Discovery Channel what Mickey Mouse is to Walt Disney Studios. And every year the cable network celebrates their viewers’ fascination with all things shark with a special televised Shark Week that has all the hoopla of a Super Bowl. 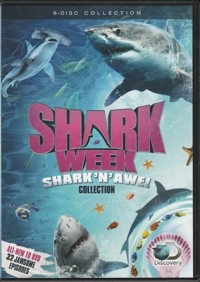 This past year’s theme was “Shark ‘n’ Awe,” and you can pick up the Shark Week: Shark ‘n’ Awe Collection on DVD now—but only at Walmart and only in-store, no online sales. What you’ll get in this six-disc, 32-episode collection is the usual blend of episodes: some of them documentaries about scientific studies (including one, pictured, where scientists and shark experts devised a way to accurately measure sharks underwater), some “in search of” adventures, some of them attempts to capture certain shark behaviors on film for the first time, some spotlighting acrobatic aerial attacks, others chronicling an increase in shark attacks worldwide, others habitat-centered, and a bunch of them dealing with Great White Sharks, whose popularity skyrocketed with the summer 1975 release of Steven Spielberg’s Jaws. As clichéd as it sounds, there’s literally something here for everyone, and tastes will vary. I found the Mythbusters episode to be the most boring of the bunch, but that won’t be the case for everyone. I mostly enjoyed the scientific studies, many of them focused on the tagging of sharks so they can be monitored via satellite. Such episodes were largely pure research-based, but one of them sought to pinpoint the movement of enormous Great Whites along beaches in order to alert officials to keep human-shark contact at a minimum when they’re in the area—kind of like a sophisticated cowbell. The most interesting of these may have been “Tiburones: Sharks of Cuba,” because it involved a collaboration between Cuban and U.S. shark scientists working frantically during the limited window that both governments had given them. But the daredevil episodes were also pretty engaging, including ones where shark chasers experimented with new underwater cages and methods of goading the sharks to strike so they can study their behavior. And there’s a train wreck factor to episodes where shark attack victims are interviewed . . . or we see them go back into the water again because they’re as addicted to sharks as many viewers. Some people watch nature documentaries to learn about animals: their names, diets, habits, range, and habitats. But if it’s detailed knowledge you seek, you won’t find it in Seasons, a 2015 nature film from directors Jacques Perrin and Jacques Cluzaud (Winged Migration, Disney’s Oceans). 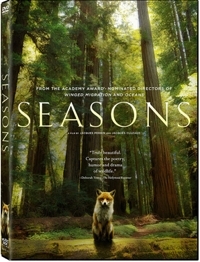 Seasons is more of an art-house film than it is an informational documentary, a lyric pro-environmental political statement rather than matter-of-factual nature guide. “The Golden Age of the forest is over,” a voiceover announces, and it doesn’t require much reading between the lines to understand that humans are responsible for the decline . . . and possible eventual extinction of the deep forest and all its inhabitants, who keep getting pushed more and more into unfamiliar, less hospitable habitats. Seasons is a film that relies more on nature than narration to tell its story, and that’s good—since a French-language voiceover with English subtitles can be daunting for young viewers. Then again, given some of the footage, we’re probably talking about a film that’s suitable for age 10 and older anyway. Like most 13-year-old girls, Aisholpan likes to paint her nails and hang out with friends. Though she enjoys school and wants to be one of the best students, like a typical teenager she also has a dream that’s more far-reaching. But Aisholpan Nurgaiv is far from typical. 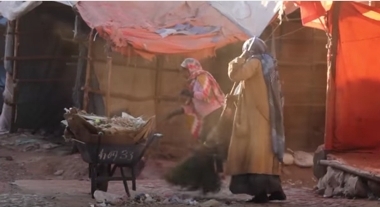 She was born into a family of Kazakh nomads, who break down their tents and relocate based on the time of year, as 30 percent of the population does. 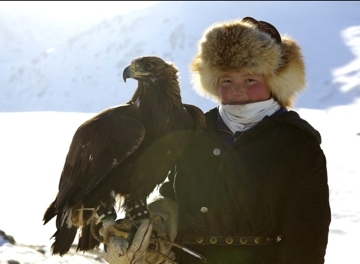 She and her family live in the most isolated part of one of the most remote countries in the world—Mongolia—where the terrain is rugged and school is so far away that the children must stay in dormitories during the week, only returning home on the weekends. That leaves plenty of time for hanging out with friends . . . and dreaming. 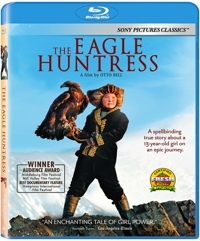 If your children aren’t averse to watching documentaries with subtitles, I can’t think of a better one for family movie night than The Eagle Huntress, a G-rated inspirational film that has a lot going for it: exotic setting, gorgeous cinematography, a likable teenage protagonist, a special father-daughter bond, and a natural dramatic arc that’s the result of Aisholpan’s very specific dream. She wants to become a golden eagle hunter like her father and grandfather, and his father and grandfather, and their fathers and grandfathers. It’s an all-male party she’s trying to crash, but what makes this film heartwarming is that she has the support and encouragement of her family.